Phoebe Bridgers and Conor Oberst’s new collaborative project Better Oblivion Community Center released their surprise debut album back in January. 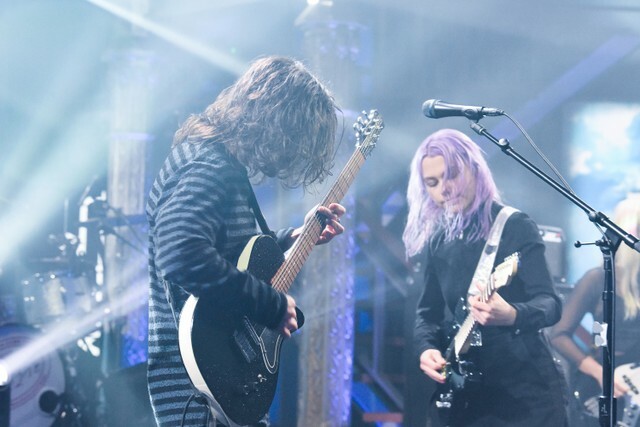 Following its release, the band made a handful of TV appearances, performing on Late Night with Stephen Colbert and CBS This Morning. Since then, the duo have hit the road, gearing up to perform a number of North American tour dates this year. At last night’s show in Tucson, the band covered the Replacements’ 1987 song “Can’t Hardly Wait,” as Stereogum and Brooklyn Vegan point out. The cover stayed fairly true to the original (though noticeably without those horns) as Oberst sang the lead vocal line, surprisingly close to Paul Westerberg in his delivery. The band also performed numerous songs from their recent self-titled LP including “Didn’t Know What I Was in For,” “Dominos” and of course their album single “Dylan Thomas.” Watch fan-shot video footage of the performance below.